Hey, I’m glad you stopped by. I’m Louise Hinckley, dog trainer, co-owner and co-founder of SureFire Dogs Training Center and student of canine behavior. I am 55 and married to Scott Hinckley, the most awesome man in world. Really he is, he puts up with me. 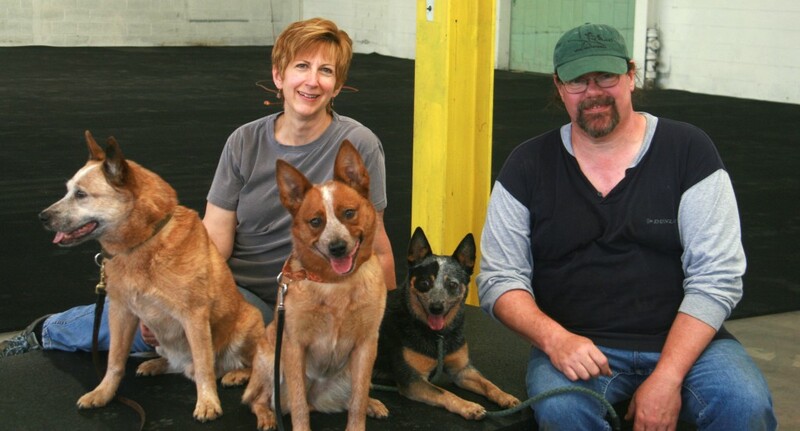 We live in North Central Massachusetts and own three Australian Cattle Dogs. Besides growing SureFire Dogs with the help of my business partner Christie-Lee McNamara, some of my greatest passions is competing with my dogs in Agility and Obedience. We share our lives with a large cast of loved friends and family who choose to support us. Believe me, our life is never dull, I’m sure you’ll agree if you spend anytime here. So hang, out for a while, leave a comment so I know you visited, and come back to see what we’re up to.